Mrs. Neva S. Sessums (BAE ’57, Elementary Ed. ), age 76, passed away on April 19th, 2013. She was born in Jacksonville, FL where she attended Jacksonville University for her freshman year before attending the University of Florida. She graduated in 1957 with her B.A. degree in Elementary Education. After graduation, Neva married Terrell Sessums, moved to Tampa, and began teaching at Hillsborough County public schools for five years. After the birth of their children she became a homemaker and active in public education. Her volunteer work in education included serving as President of the Friends of Public Education, President of the PTA at both Blake Seventh Grade Center and at Colman Junior High School, as a member of the statewide Model Schools Task Force and as Chairman of the Hillsborough County Schools Citizens Advisory Committee. Neva Sessums obituary – click here. The University of Florida is honoring Arthur M. (Andy) Horne, a 1967 College of Education master’s graduate, with a 2013 UF Distinguished Alumnus Award. Horne, who earned his M.Ed. degree at UF in counselor education, was feted at the college’s recent, year-end recognition banquet and will receive the award May 4 at UF’s spring commencement ceremony. UF Distinguished Alumnus Award recipient Andy Horne poses with COE senior development director Maria Martin at the college’s recent Recognition Dinner. Horne is a dean emeritus and former Distinguished Research Professor in counseling psychology at the University of Georgia College of Education. He made his mark in education, though, long before retiring in 2012 from his five-year deanship. Horne was already known for his nearly three decades of research on troubled families and ways to prevent and deal with male bullying and aggressive behavior in schools. Just since 1999, he received more than $7 million in federal grant support to develop and steer the Bully Busters program, designed to reduce violence and bullying in middle schools. His popular 2006 book, Bully Prevention: Creating a Positive School Climate, resulted from that project. At UF, Horne earned bachelor’s degrees in English education and journalism (1965) before receiving his master’s in counselor education. His first teaching job was at Howard Bishop Junior High in Gainesville. He received his Ph.D. at Southern Illinois University in 1971. Horne was on the faculty and directed training in counseling psychology at Indiana State from 1971-89 before joining the Georgia faculty, where he headed the counseling psychology department and training program before becoming dean. Among numerous leadership posts, Horne is past president of the American Psychological Association’s division of group psychology and group psychotherapy and is the current president of the Society of Counseling Psychology. He is a fellow in numerous divisions of the APA and the American Counseling Association. Mary Frances Compton (DED ’67), age 81, of Athens, passed away on Saturday, March 23, 2013. A native of Paris, Tennessee; Dr. Compton was the daughter of the late William and Lena Mai Smith Compton. She received her undergraduate degree at Peabody College and her Ph.D. in Education from the University of Florida. She retired as Professor of Curriculum & Supervision at the University of Georgia. Dr. Compton made significant contributions to the field of middle school education and had been a teacher, principal, and education consultant. She was an avid tennis player, the first president of the Clarke/Oconee Tennis Association (COTA), and a volunteer for Meals on Wheels for over 10 years. Angel Rodriguez, a UF doctoral student in higher education leadership, recently received the R. Irene Craney Fischley Endowed Teaching Chair at Broward College in South Florida. 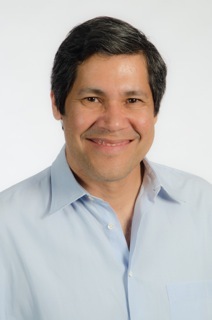 Rodriguez has been teaching science, including anatomy and physiology, biology, environmental science, and oceanography at Broward College since 1993. This is his second endowed teaching position at the college. As an endowed teaching chair, Rodriguez will receive a $7,500 program stipend and a $2,500 professional development stipend. He was one of seven professors at Broward College to be selected for the honor. In November, Rodriguez received Kappa Delta Pi’s C. Glen Hass Laureate Scholarship in Instructional Leadership. The $1,500 award is only given to applicants from the University of Florida doctoral program. Rodriguez was profiled last year by the College of Education as one of the “Six to Watch” students as recommended by UF education professors. In 2011, Rodriguez received the UF Presidential Service Award. He previously received the UF college’s Maxwell and Doris King Scholarship and this year the James L. Wattenbarger Scholarship, named for the former professor who helped create Florida’s community college system. The UF College of Education has honored school psychology doctoral graduate Michael Sulkowski with its 2013 Outstanding Young Alumni Award. 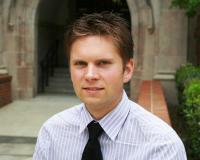 Michael Sulkowski, currently an assistant professor of school psychology at the University of Arizona, received his M.Ed. degree in 2007 and his Ph.D. diploma in 2011 from UF. His rapid emergence as a high achiever and rising scholar became evident during his graduate coursework and has carried over into his professional life. While at UF, his dissertation research, investigating college students’ willingness to report threats of violence on campus, received wide coverage in the news media and scholarly publications and contributed to his receiving the College of Education’s 2011 outstanding graduate research award. At Arizona, he teaches classes on law and ethics in psychology, behavior modification and personality and social-emotional assessment. His research focuses on how youth are affected by bullying, peer aggression and school violence. Corollary studies finds him exploring the role of bystanders on bullying and aggression. He also is interested in increasing schools’ mental health services and improving students’ emotional well-being through effective interventions. His clinical specialties include assessing and treating childhood mood, anxiety, tic, obsessive-compulsive spectrum and disruptive behavior disorders. The UF Alumni Association honored Sulkowski and other college Young Alumni Award winners April 6 at a ceremony on campus.